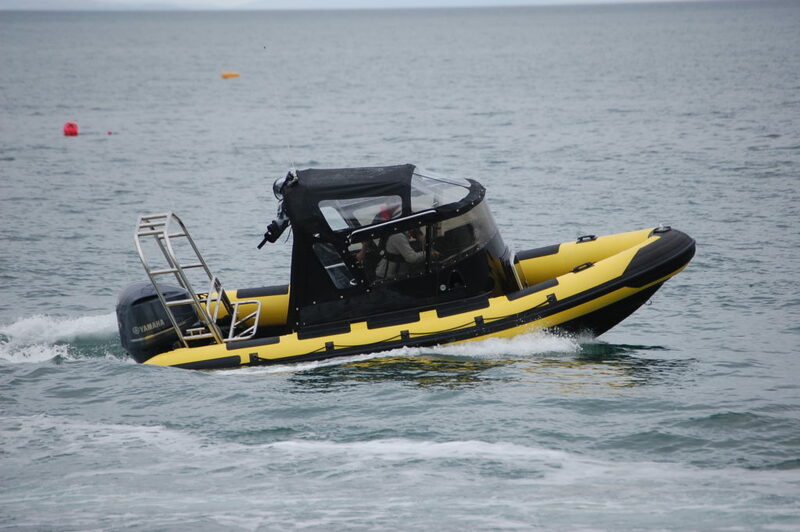 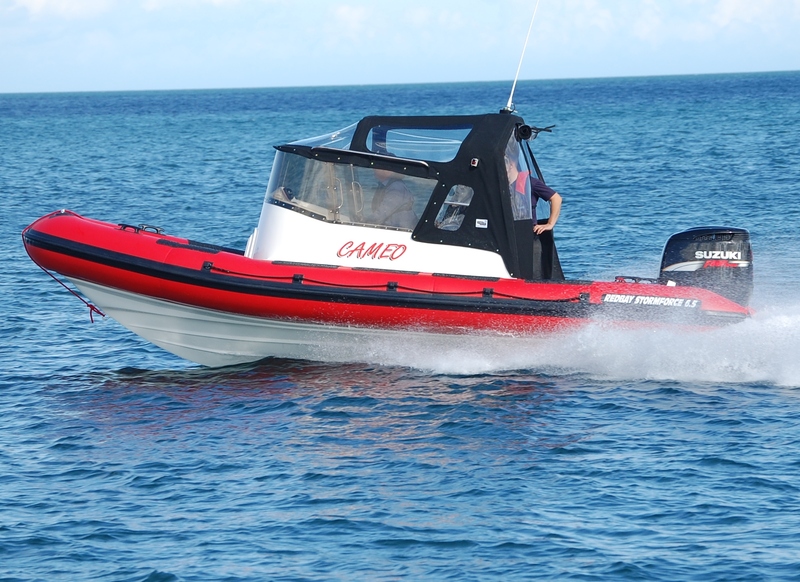 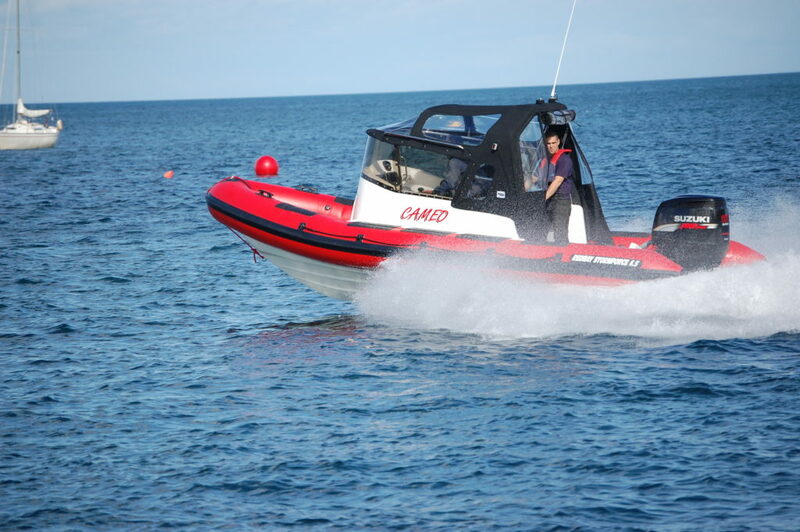 The Stormforce 6.5 Canopy boat was developed to offer a greater versatility to our product. 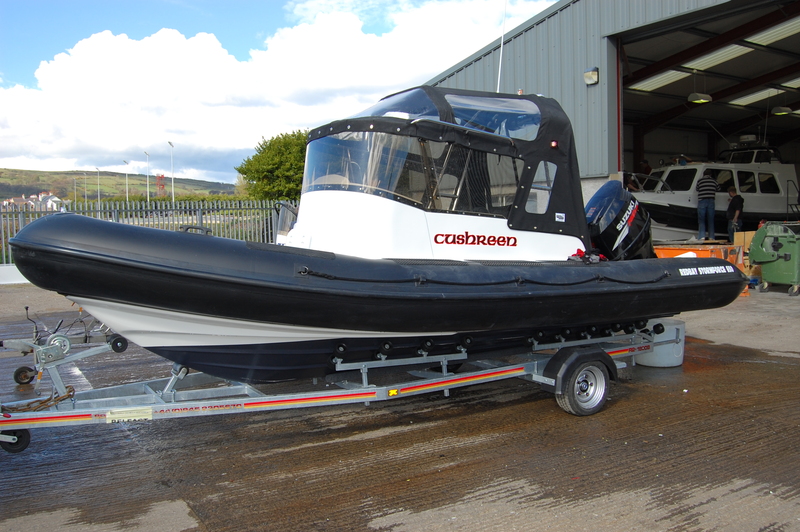 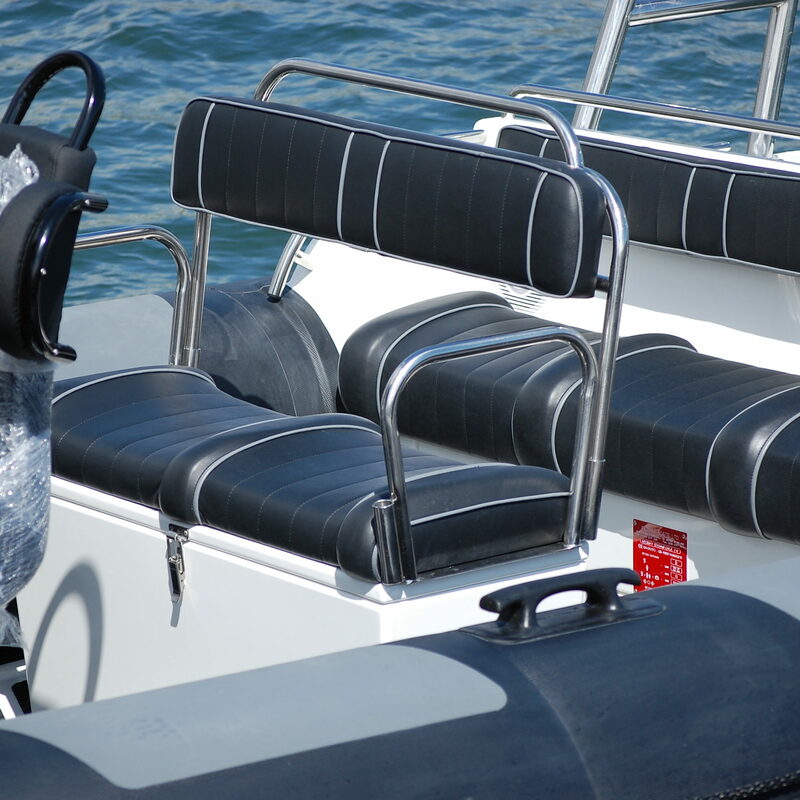 It gives our clients the opportunity to own a boat with superb weather protection which can still be towed behind a standard family saloon car. 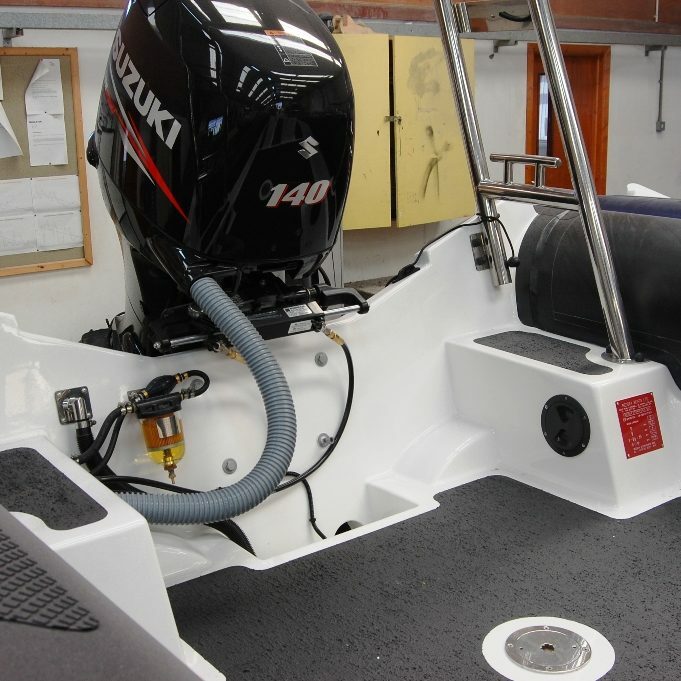 The boat has been developed from the basic 6.5 model with our industry leading wrap around console and as standard, it comes with features such as a full height screen and an acrylic spray hood. 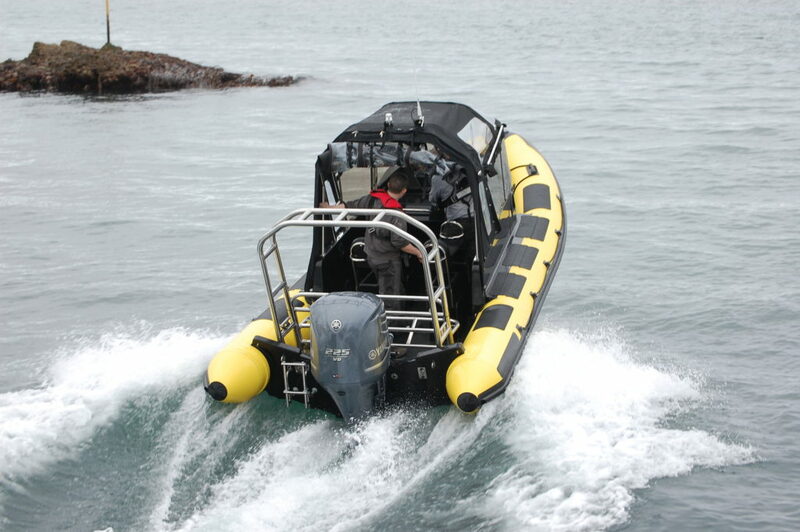 The high sided wrap around console is ideal for safe family passage or for serious offshore ribbing. 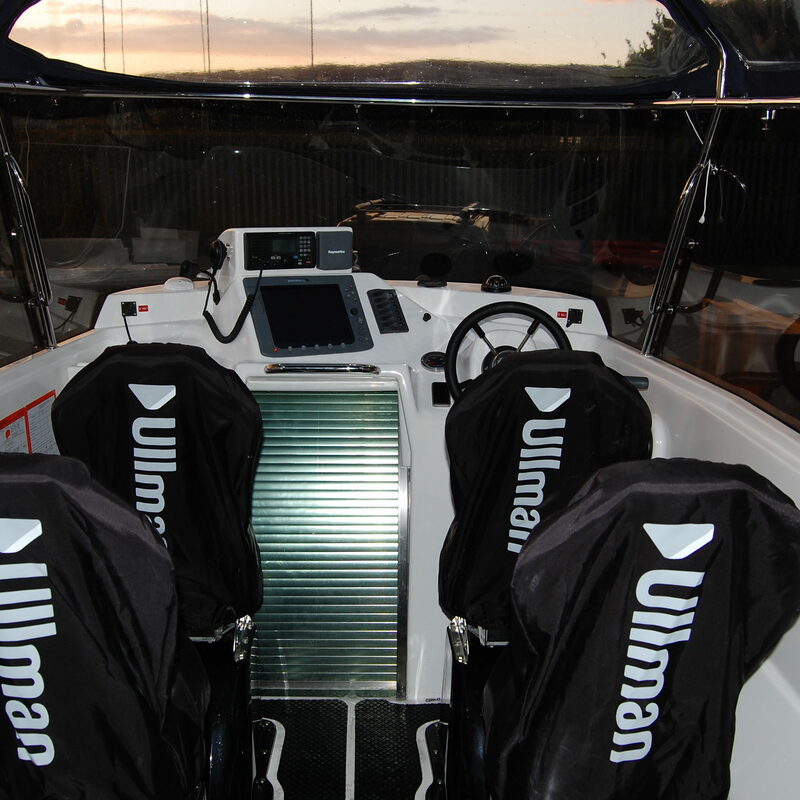 Combined with the high level Lexan screen, the Console forms a very safe and comfortable cocoon. 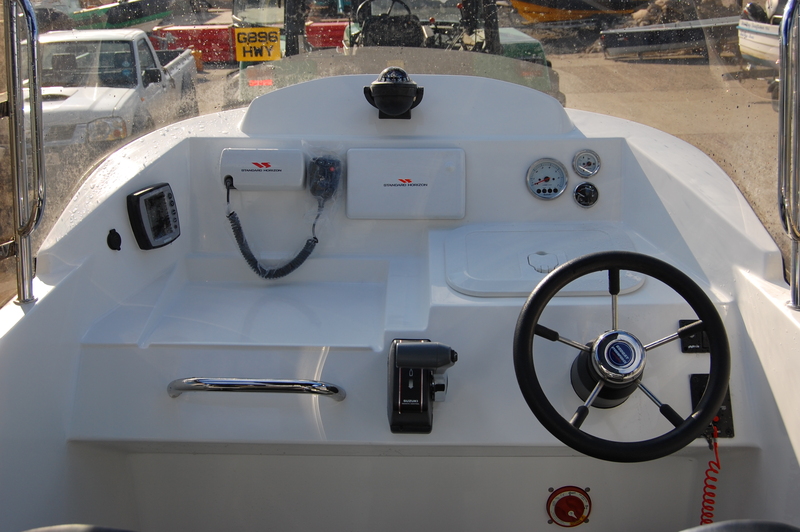 A moulded dash provides plenty of surface area for mounting all the necessary kit. 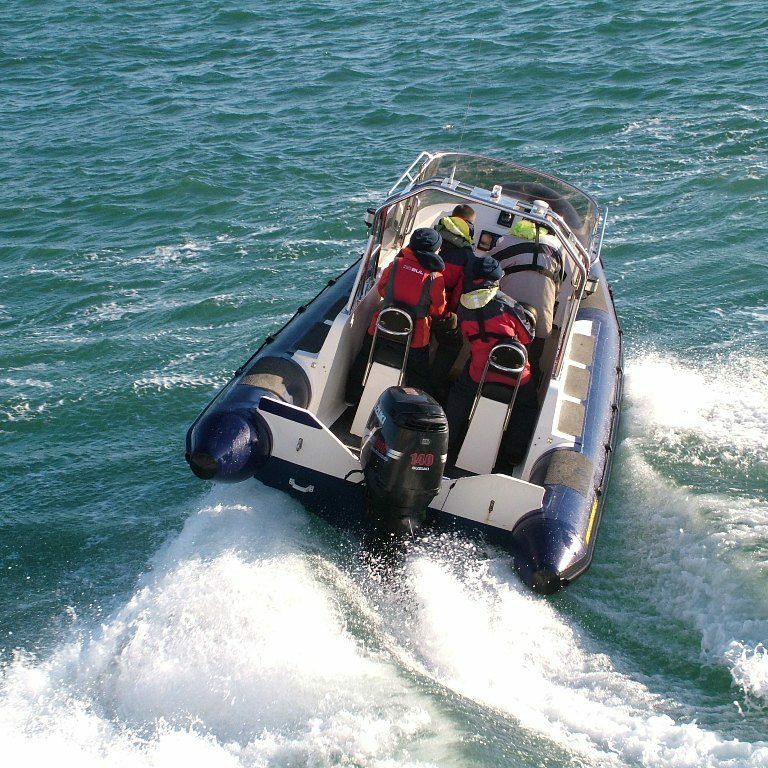 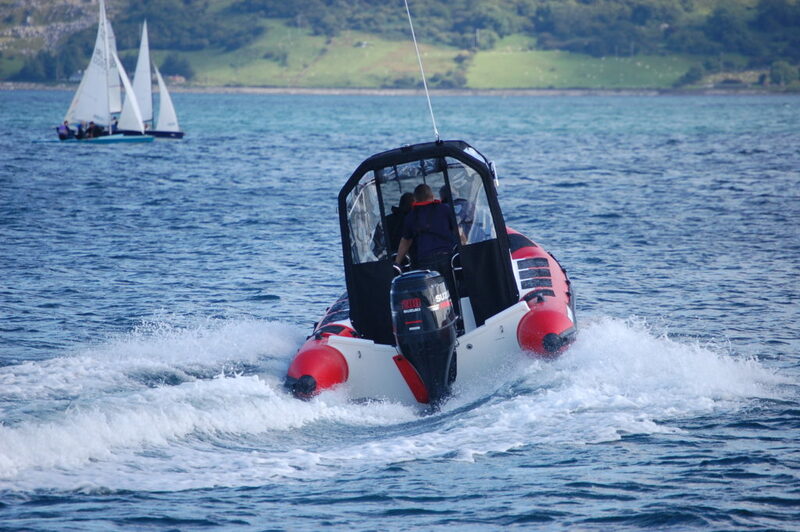 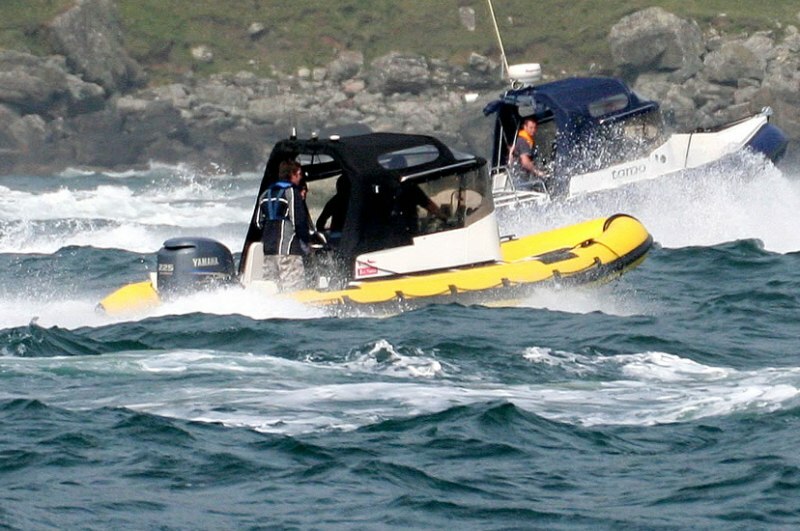 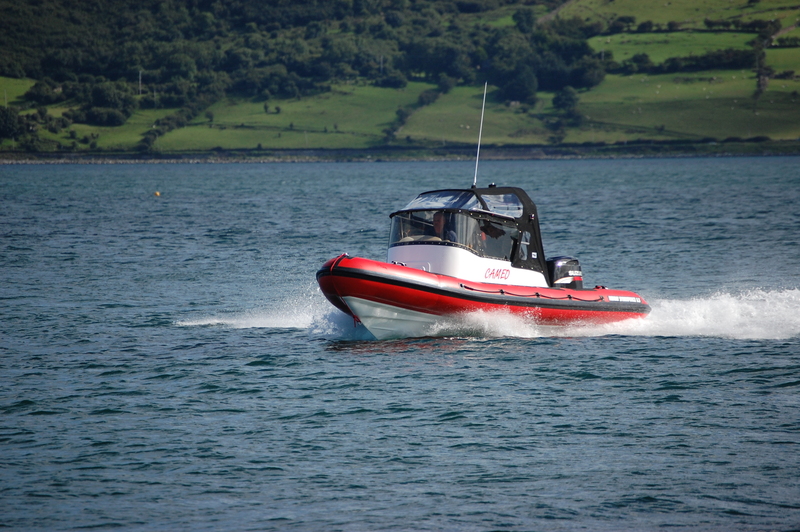 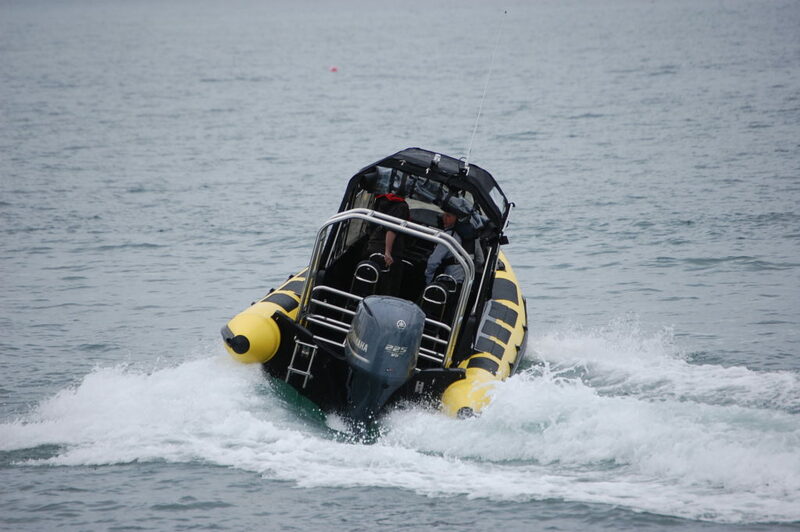 Propulsion can be provided by any engine combination and the Stormforce 6.5 is typically fitted with POD style seating. 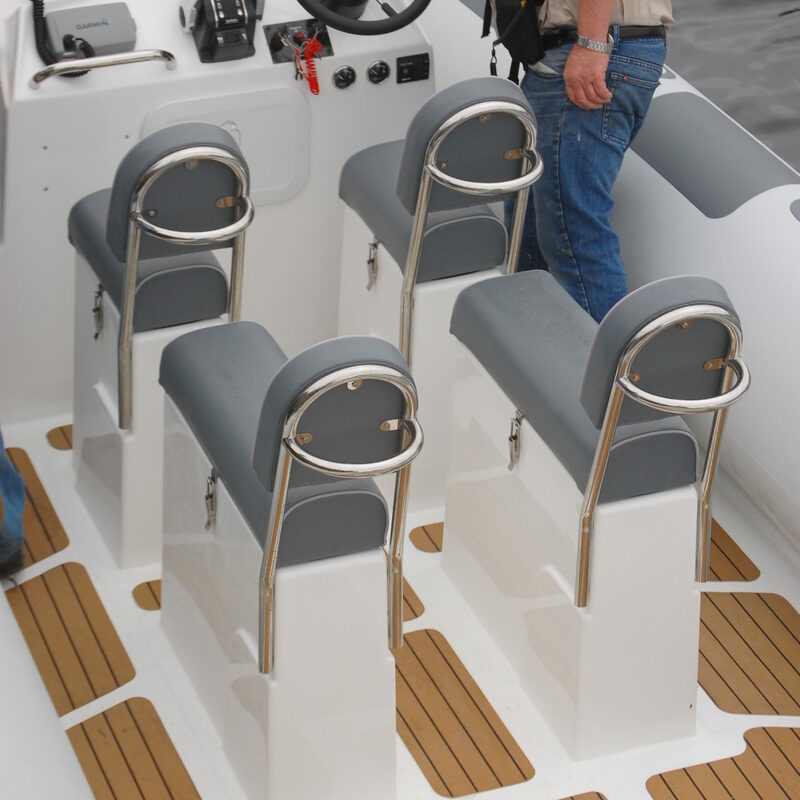 Additional seating and moulding options are also available. 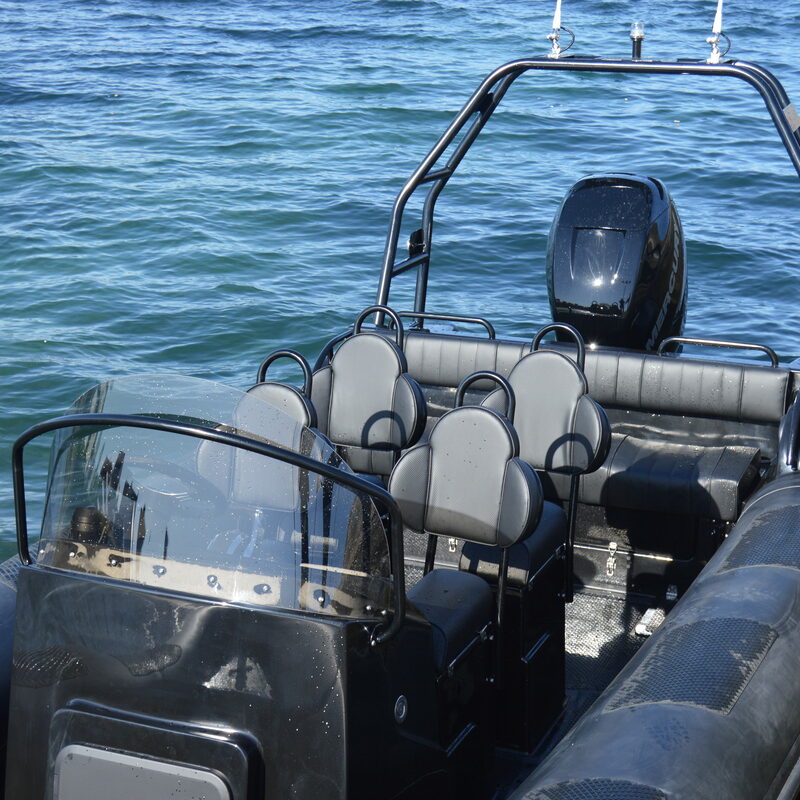 The console is topped off with a removable canopy, providing versatile yet safe and sheltered cover for rougher conditions whilst also offering open top cruising for summer fun. The Stormforce range continues to grow and we thank you for your support. 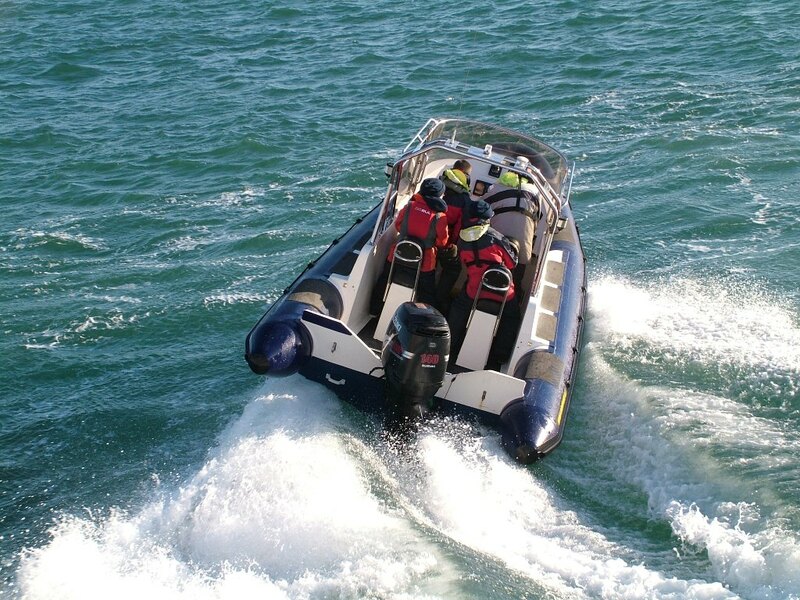 Having studied range details below, should you have any questions whatsoever please do not hesitate to get in touch.